This is a series on the relationship between Greek philosophy and gnostic literature. To start with the first post, please go here. This post looks at Plato, Middle Platonism and the influence of other Greek philosophies on Middle Platonism regarding negative theology and the concept of an ineffable deity, drawing largely from Deirdre Carabine’s book on the history of “negative theology”, The Unknown God. Negative Theology in the Platonic Tradition: Plato to Eriugena. The next post will look at Philo in the same capacity. Although Plato never discussed an ineffable realm of being, the language of negative theology finds its origin in his work, as will be shown below (Carabine, The Unknown God, 1). Late in the sixth century, BCE, Xenophanes was the first known Greek to theorize a supreme being above the other gods, as well as to separate gods from mortals into distinct, hierarchical realms (Carabine, The Unknown God, 17). A generation later, Parmenides defined the difference between mortals and gods as “being”, the world of thought, and “nonbeing”, which cannot be thought. Carabine says these two perspectives “contributed to the development of the idea of a transcendent reality” (Carabine, The Unknown God, 17) in Greek thought, an important stage of which is visible in the Platonic Forms/Ideas, which were “totally removed from the world of becoming”, the material world (Carabine, The Unknown God, 17). The highest reality of Plato’s system is variously described as agathon (virtuosity/the “Good”) in The Republic, the father/craftsman called the dēmiourgos (“demiurge”) of Timaeus and kalon (“Beauty”) of Symposium (Carabine, The Unknown God, 33). In Plato’s system, the gods reside below the demiurge in to theion, a “realm or state of knowing which is attainable through nous [reason] guided by love; it is that region where the immortal soul dwells with the gods after death” (Carabine, The Unknown God, 19). The only category of Plato’s system not accessible to nous is the “One” of Parmenides, which, in Plato’s system, does not actually exist. Even so, Plotinus, in the third century, CE, would combine the knowable categories of Plato’s system with the nonexistent “One”, in order to describe an ineffable God. Drawing from Parmenides’ model of “exists”/”does not exist”, Plato’s First Hypothesis (in Parmenides) contends that if the “one” of “one”/”not one” exists, it is “defined as absolutely one,” described as having “no parts”, no “form”, “neither at rest nor in motion”, outside of time, absent of being, nameless and with “no description, knowledge or perception of it” (Carabine, The Unknown God, 23). It is from this “negative” description that related portrayals of an ineffable god may have eventually derived. However, in Plato, the One is not “real” (Carabine, The Unknown God, 23) and he does not equate it with the divine in his system (Carabine, The Unknown God, 19). In fact, Carabine says, “it is clear that Plato was concerned with a linguistic analysis of logical thought” rather than a taxonomy of ontological categories (Carabine, The Unknown God, 23). In his system, the “real” categories include both the divine realm of the immortal, eternal forms and the “material”/”sensible”/”mortal” world of becoming which emanates from those forms (Carabine, The Unknown God, 21). Even if Plato was not concerned with the unknowable, the linguistic categories for discussing the ineffable are visible here in his early work. In The Republic, the agathon/”Good”/”virtuosity” resides in this highest reality (Carabine, The Unknown God, 31), transcending essence, an “‘inconceivable beauty’ which is the source of all knowledge and truth, surpassing even these in beauty” (Carabine, The Unknown God, 30). Carabine explains that “good is cause, the power and divine force which holds all things together” and “almost unknowable” (Carabine, The Unknown God, 33) to human reason. The soul, the “simple and indestructible”, divine and immortal aspect of human nature, longingly “strives towards the forms” (Carabine, The Unknown God, 20), an ascent that “necessarily involves active participation in the social and political life of the state” (Carabine, The Unknown God, 31). The philosopher must return to the “fellow-prisoners” of the “cave” until death, at which point the “winged soul” will ascend again, to “remain in the region of light” (Carabine, The Unknown God, 31). The “objects of knowledge” generated by the good are the goal of the ascent, but “the good itself is not essence but transcends essence in dignity and surpassing power” (James Adam, trans, The Republic of Plato, 509B). It is here that Plato comes closest to establishing the highest level of his system as ineffable to human understanding, implying that the good is something “other than the intelligible object” (Carabine, The Unknown God, 30). Later, however, Socrates claims that if this region sounds “intelligible”, it is because his audience desires to think so, but, he says, “my dream as it appears to me is that in the region of the known the last thing to be seen and hardly seen is the idea of good” (Adam, The Republic of Plato, 517B) securing the good as a knowable category. In Symposium, Socrates describes the ascent as driven by “the force of eros, which is the desire for the good”, a journey through “the various levels of the mysteries of love”, which requires initiation (Carabine, The Unknown God, 24). The journey ends with a revelation of beauty, described as “eternal, ungenerated, imperishable; it does not vary either in part, time, relation or place; it is unlike corporeal, intellectual or spiritual beauty” (Carabine, The Unknown God, 25). While Plato does not equate beauty with the good, Carabine says “it is clear that the attainment of goodness is a condition for the attainment of beauty and, therefore, of immortality, which is the ultimate aim of the initiate” (Carabine, The Unknown God, 25). Relevant to this discussion is the fact that Plato’s system here provides details of the philosopher’s ascension to obtain knowledge, a process only certain men can achieve. It differs from gnosis, however, a system in which knowledge descends to the chosen few. Even so, the final ascension of the “select” in many systems written around the time of Apocryphon of John describes trials the soul must face in order to unite with the ineffable; and Jewish Merkabah texts describe similar ascensions in pursuit of esoteric knowledge. In Timaeus, Plato describes the father/craftsman demiurge, which “makes sensible objects by looking towards their unchanging counterparts in the world of forms” (Carabine, The Unknown God, 29). And while Plato argues that gaining knowledge of the demiurge is an incredible challenge, it is only relating the experience to others that is impossible (Carabine, The Unknown God, 26). Plato did not present the demiurge as ineffable, nor identify him with the “One” of Parmenides. Neither did he equate the demiurge with the “good” or “beauty” (Carabine, The Unknown God, 33). Even so, the demiurge is a model for various “creator” gods, from Marcion to the Valentinian school and elsewhere in-between, beyond which, in those various systems, the ineffable God exists. It was not Plato nor an “orthodox” Platonist who posited an ultimate reality beyond the creator, however, as we shall see below. As stated earlier, Plato distinguished between the “real” and “not real”: the forms were “totally removed from the world of becoming; nevertheless, they remain still on the level of being, as that which is most truly real” and, therefore, knowable categories (Carabine, The Uknown God, 21). Only the “One” was unknowable, but this was “not real.” According to Carabine, any sense in Plato that the highest reality was unknowable is explained as the “inadequacy of the human capacity to understand the transcendent; he does not refer explicitly to the unknowable nature of these realities in themselves”, implying that the philosopher could discern even the least knowable realms (Carabine, The Unknown God, 28). After Plato’s death, his nephew Speusippus headed the Academy beginning in 347 BCE (Carabine, The Unknown God, 40). The period that followed, up to Plotinus in the third century, CE, is referred to as Middle Platonism. 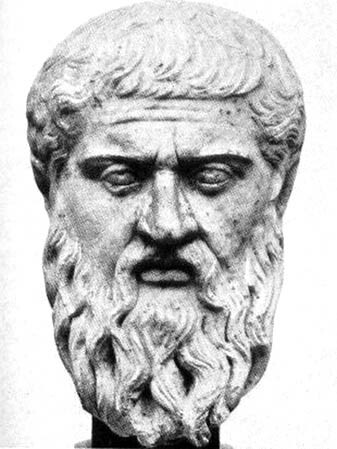 After Speusippus died in 339 BCE, Stoicism, Epicureanism and Skepticism dominated the Academy with an “anthropocentric world view” focused on knowledge and ethics until Antiochus (215-164 BCE) shifted emphasis to “Plato’s more theological themes” (Carabine, The Unknown God, 35), establishing a tradition that engaged Plato’s system with Aristotelian ideas, including God as nous (Carabine, The Unknown God, 38). The various referents for the highest reality developed by Middle Platonists “are envisaged primarily as taking effect through nous, since the supreme God as nous cannot be totally inaccessible to the human intellect” (Carabine, The Unknown God, 53-54), continuing the tradition of knowable categories. Carabine says that defining God as the “supreme nous” was influenced by both the “Stoic doctrine of the divine all-pervading logos” and “Aristotle’s nous, as self-contemplating thought” (Carabine, The Unknown God, 51), yet remained essentially Platonic. According to ancient historian Alexander Polyhistor, a Neopythagorean revival within Platonism occurred a generation after Antiochus, postulating that the “archē, the principle of all things, was the monad; from it the indefinite dyad arose, and together they were the cause of all reality”, so that the monad functioned as both the “prime cause and then jointly with the dyad” (Carabine, The Unknown God, 51). As a result of Neopythagorean influence on Platonic thought, the demiurge/good was now equated with the monad, separated from “created being” by hypostatic mediation with numerical designations. Possible evidence of this revival is visible in Apocryphon of John, as the highest reality is called the “monad”, which creates emanations (in the form of numerical divisions) through self-reflection, although this monad is ineffable and exists above the demiurge, which is responsible for the material world. This is not to say that Neopythagoreanism directly influenced Apocryphon of John, of course. After all, as Carabine says, the late period of Middle Platonism could be described as “eclectic”, shaped by a “syncretism which was by no means always deliberate” (Carabine, The Unknown God, 52), resulting in innovations with no clear lines of transmission amid such diverse movements as emerging “Judaisms”, “Christianities”, gnosis texts, Hermetic works, parallel developments in other philosophies and, eventually, “the revival of a more ‘dogmatic’ form of Platonism” (Carabine, The Unknown God, 35). Despite porous borders, however, no Platonist during this period would speculate on categories beyond “being”, probably because systems of thought always required knowable classifications accessible to nous (Carabine, The Unknown God, 40), prompting some historians to claim that “Neoplatonic thought had appropriated some radically oriental ideas” (Carabine, The Unknown God, 52), reluctant to credit Plotinus with inventing the ineffable God for a Platonic system that had avoided the unknowable for so many centuries. Carabine resists this claim, arguing that Platonists Eudorus of Alexandria (first century, BCE), who prompted the Neopythagorean revival, and Moderatus (first century, CE) may have placed the One above the monad in their systems prior to Plotinus in the third century. This is difficult to prove, however, as their work survives only in fragments preserved in Simplicius of Cilicia more than five hundred years later, leaving the full of extent of their systems inconclusive (Carabine, The Unknown God, 48). Carabine also discusses Plutarch, Apuleius, Maximus of Tyre and Celsus from the second century, CE, but ultimately admits none of them offers more evidence than a “religious type of philosophy, which itself points towards the positing of a One, a spiritual absolute which differs from that of which it is ground” (Carabine, The Unknown God, 54), without developing a distinctly ineffable God. Even so, the separation between spirit and matter grew more distinct for these thinkers, the Good now viewed as “a transcendent principle not associated with created being ” (Carabine, The Unknown God, 50), even if it remains knowable. In reaction to Stoicism, Alcinous, active in Smyrna from 149-157 CE, described God as “incorporeal”, with a nature “both simple (haplous) and primordial (archikos)”, two words that appeared frequently in Plotinus’ writings (Carabine, The Unknown God, 81). Alcinous’ use of analogy and his style of abstraction also influenced Plotinus, to the point that the latter, according to Carabine, has been characterized as a plagiarist of the former (Carabine, The Unknown God, 54), however anachronistic the charge. Important for this discussion, Alcinous argued that God is “ineffable”, yet, even so, “may be comprehended by the intellect through nous” (Carabine, The Unknown God, 76). Scholars have long compared Alcinous’ description of God as “incorporeal” and “ineffable” to the writing of Philo of Alexandria, the earliest attestation of both concepts in relation to Platonic thought. However, Carabine argues there is no clear evidence of transmission between Philo and these second century Platonists. Instead, she argues that “it is more than likely that the use of the term ‘ineffable’ was somehow filtered into Platonism from Philo via the ‘Alexandrian connection'” (Carabine, The Unknown God, 75), an equally unprovable network of ideas she imagines flowing from Egypt throughout the Roman Empire. As I will show in the following section, however, it is most likely this use of these terms originated in Hellenistic Judaism and possibly with Philo (who used Platonic terms and systems liberally for his particular form of exegesis. [For more information on thestate of Hellenistic Judaism and early Christianity at the turn of the era inAlexandria, please see here]. In any event, whether Alcinous relied on Philo, he almost certainly influenced Plotinus, and yet did not characterize God as absolutely unknowable, as Philo had done (Layton, 14 f.2 points out the similar language in Apocryphon of John 2:26-4:24f and Alcinous, yet we now see the most striking parallels occurred even earlier in Philo). Another second century writer who may have influenced Plotinus, Numenius (ca. 150 CE) of Northern Syria (Carabine, The Unknown God, 92), remains an enigmatic figure to historians. A “student of comparative religion” who interpreted “both Plato and Aristotle along Pythagorean lines” (Carabine, The Unknown God, 93) alongside ideas of his own (Carabine, The Unknown God, 94), his work survives only as fragments scattered among Eusebius, Porphyry and others (Carabine, The Unknown God, 93). What ideas remain include a “method of abstraction” that approaches the “mystical knowledge” of Plotinus, so similar at times that the latter has been accused of “plagiarizing the teaching of Numenius” (Carabine, The Unknown God, 100), as similarly charged with Alcinous. In Numenius’ system, matter is held together by the “Incorporeal”, also called “Being” or “Existent” (Carabine, The Unknown God, 100), which can only be understood by nous (Carabine, The Unknown God, 95). Numenius’ hierarchy includes a “first God”, called the “Father of the demiurge” and the “King”, who is “free from all the work of creation, while the second God rules the world” (Carabine, The Unknown God, 97). This second God, the “legislator” (Carabine, The Unknown God, 97), is “divided and torn apart” when it comes in contact with matter, generating a second and third god, although the two are, actuality, one (Carabine, The Unknown God, 95). In Fragment 2, Numenius explains that one may reach the “unknowable (agnooumenos) first God through “enthusiasm for the study of sciences” (Carabine, The Unknown God, 100), “a serious consideration of numbers” (Carabine, The Unknown God, 100) and by “being far removed from all sensible things that one may see the Good, like the ‘alone to the alone'”, where “there is neither man or anything living, but ‘an inexpressible, indefinable, immediate and divine solitude” (Carabine, The Unknown God, 100). In the end, although the Good/”first God” is “placed above the realm of the sensible and intelligible” in Numenius’ system, it appears available in some limited (abstract or “mystical”) way. Even more than for Alcinous, Carabine admits that Numenius probably had some connection to Hellenistic Jewish sources like Philo (or “some Gnostic element”!) as a result of his study of religions in Syria (Carabine, The Unknown God, 52), where the Thomasine literature (Gospel of Thomas, Acts of Thomas) and Pseudo-Clementine Homilies likely originated. Although the concept of the “incorporeal” is Platonic, as it “is the only thing that can endure; it is the only self-adjusted reality, and is not subject to the tendencies of other bodies” in Platonic thought (Carabine, The Unknown God, 94), Numenius’ use of the term “also has strong Philonic and Jewish overtones” (Carabine, The Unknown God, 94). His system of two gods, a “King” and a “Legislator”, also bears resemblance to an important concept in Philo and rabbinic literature (Alan F. Segal, Two Powers in Heaven, 17), wherein the names of God are hypostases bearing different powers: Elohim as “goodness”, creative power and mercy, and YHWH as “justice”, “authority” and “sovereignty” (although the traits correspond to the opposite names in rabbinic tradition, “Elohim” as judgment and YHWH as “goodness”). In this case, Carabine argues that the lack of evidence for another Jewish influence suggests “Philo is one most likely source of the idea in Numenius” (Carabine, The Unknown God, 97). Further, the phrase “alone to the alone” in Numenius, which was also popular in Plotinus’ writing, may have been adapted from Philo’s description of “flight to the uncreated”, according to E. R. Dodds (Carabine, The Unknown God, 100). And while “the majority of the Platonists of the second century CE did not regard the supreme God as unknowable, but simply difficult to know”, only the demiurge in Numenius’ system is knowable, his first God is closer to Philo’s “ineffable” God than any other Platonist (Carabine, The Unknown God, 52). In the end, however, it is difficult to surmise whether Numenius can be accurately described as a Platonist, despite his apparent influence on Plotinus. A far more divergent aspect of Numenius’ system was the hierarchy of emanating deities established to fully separate the creator God from the material world and its governance. Numenius’ hierarchy of gods may also rely on Philo’s system, in which the creator God is fully removed from the cosmos, mediation between the creator and the material world governed by the logos (Segal, Two Powers in Heaven, 165). According to Alan Segal, the appearance of two gods in Philo and the “theosophists who produced the hermetic literature” (Segal, Two Powers in Heaven, 245), as well as Origen’s characterization of Numenius as “familiar with the scriptures of the Hebrews, which he endeavered (sic) to synthesize with Greek philosophy by means of allegory” demonstrates a “healthy interest in Jewish thought among the pagan mystics and incipient neo-Platonists of the second century” (Segal, Two Powers in Heaven, 246). Whether Alcinous or Numenius had access to Philo, Segal’s characterization of the late Middle Platonists and early Neoplatonists more fully embraces the notion that systemic innovations resulted from regional syncretism in a complex borrowing of ideas, one source of which would have been Jewish, even if the Hellenistic variety found in Alexandria, or one of the eclectic “Christianities” of Samaria or Syria, for instance. The final assessment seems to be that Alcinous and Numenius, followed by Plotinus, diverged from more than 500 years of Platonism in proposing some version of an ineffable God, most likely influenced by Jewish tradition (although mediation through early Christian, gnostic or hermetic literature is possible). The means of transmission is unclear, but the fact remains that Philo provides the earliest evidence for the “ineffable God” in relation to Platonic thought, a concept that, as Carabine must readily admit, is more likely derived from Jewish sources than Platonic thought. In the next section, I will survey the work of Philo of Alexandria as it pertains to this discussion of an ineffable God and the relationship between this concept and gnostic literature on hand and Jewish tradition on the other.